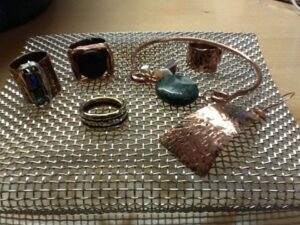 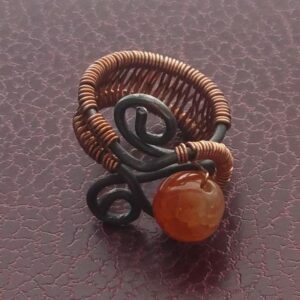 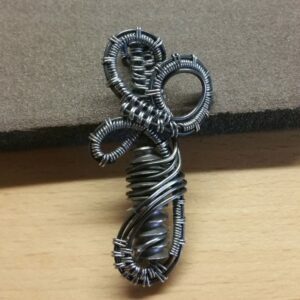 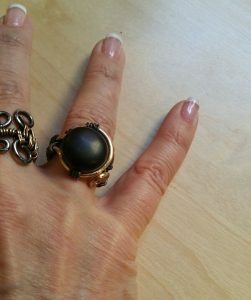 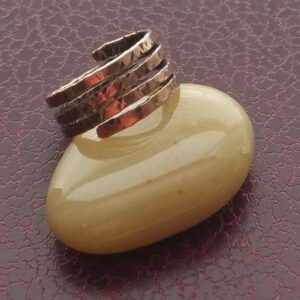 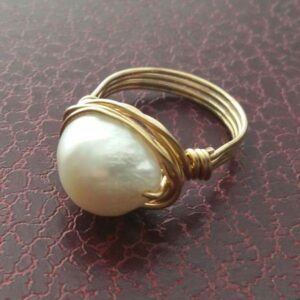 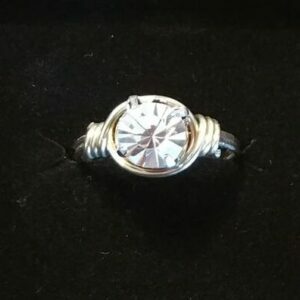 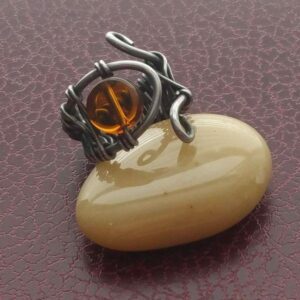 I started making jewelry back in 2000 and my favorite pieces to create for the longest time were rings. 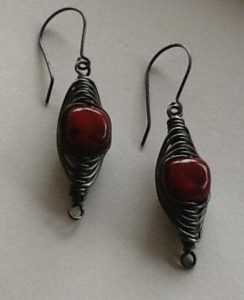 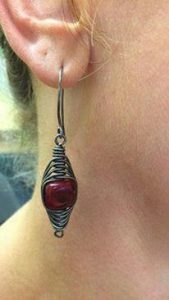 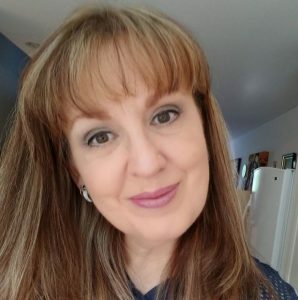 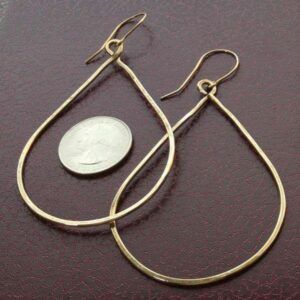 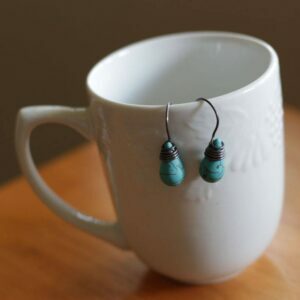 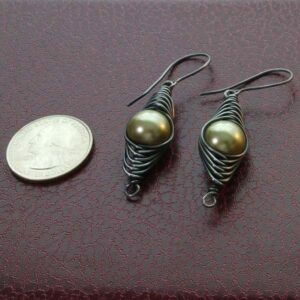 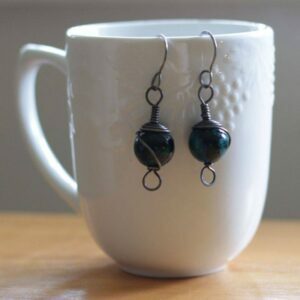 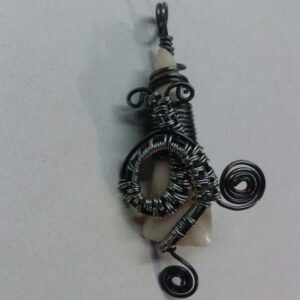 Though I tried my hand at creating all kinds of jewelry, from earrings and bracelets to handcrafted chains, necklaces, and pendants. 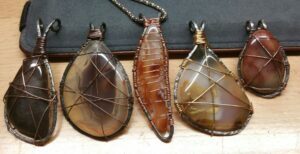 But about two years ago I began using annealed steel as the primary material in my jewelry and my passion for creating pendants expanded like crazy! 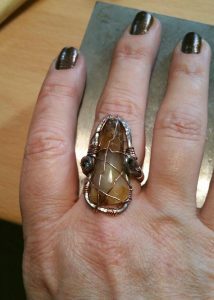 Part of the reason for this is the fact that one of my dear friends is a rock-hound in Arizona. 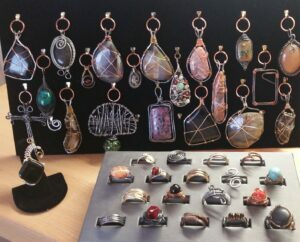 She supplied me with several bags full of semi-precious stones that she had collected, sliced, and polished. 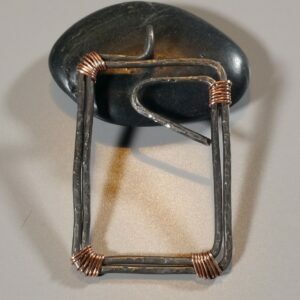 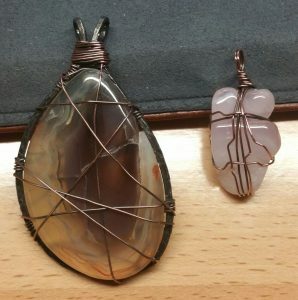 These stones offered a beautiful focal point for what has become my own unique style of “framing” each one to enhance it’s natural shape and the energy emitted from it. 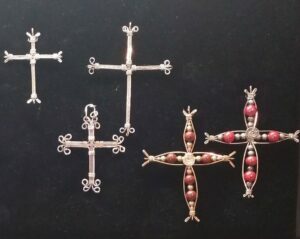 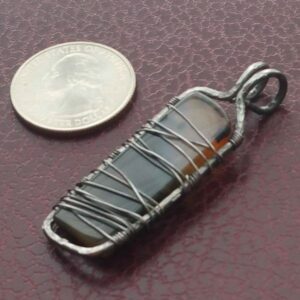 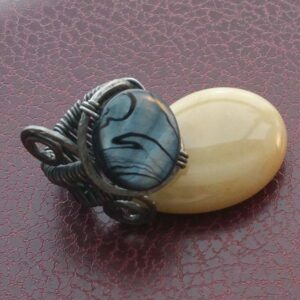 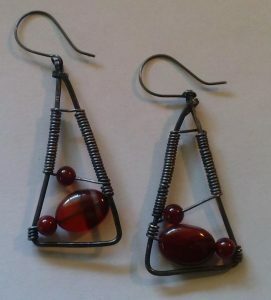 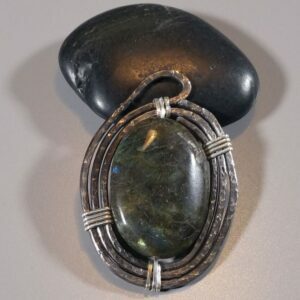 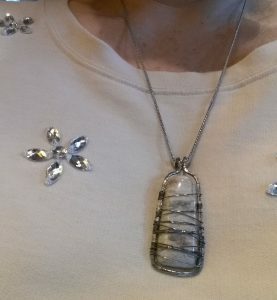 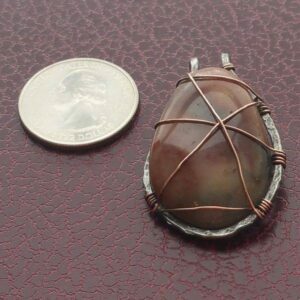 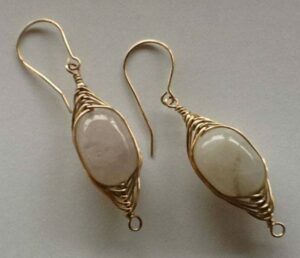 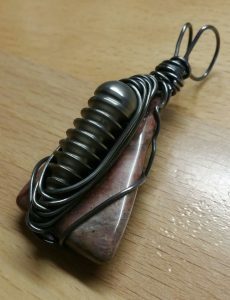 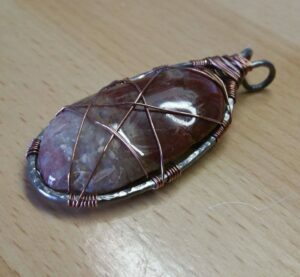 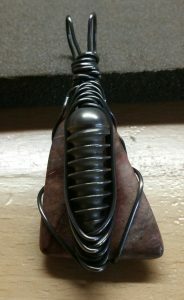 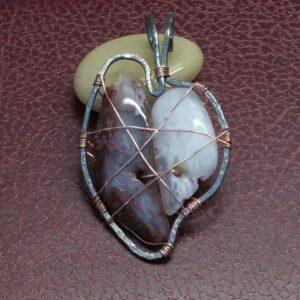 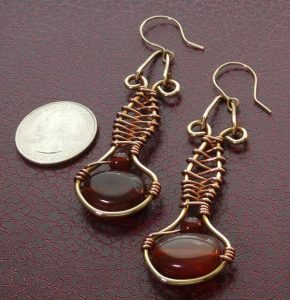 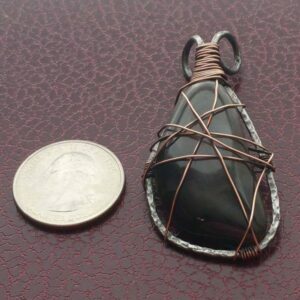 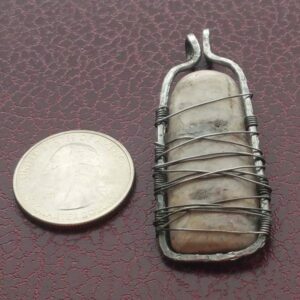 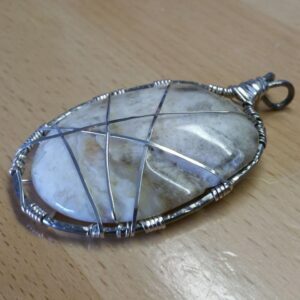 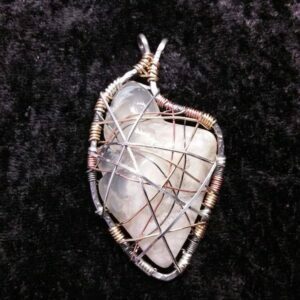 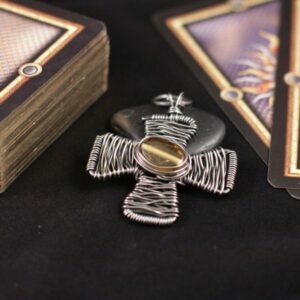 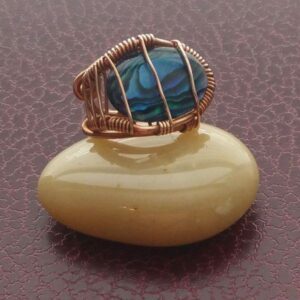 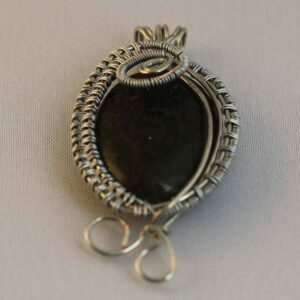 Below you can view just a sampling of my wire-wrapped stone pendants, as well as some of the other pendants…primarily crosses…I have created over the years. 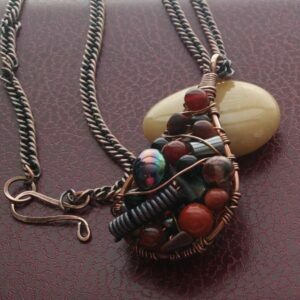 If you would like a one-of-a-kind piece please feel free to CONTACT ME with your ideas!